Vijyalaxmi Kara, the Founder Trustee of Inner Joy Foundation is an Indian Classical Vocalist. She teaches and performs Semi-classical and Devotional music. Vijyalaxmi is also a natural counsellor and in her spare time has helped many people deal with their life problems. Having gone through much grief in the past she has come out of it shining, and believes that our ultimate goal as a human being is to serve others while growing spiritually. Her highly imaginative, creative, and artistic personality combined with her sheer passion to serve humanity, ensures the success of IJF. Himat Gami is an Accountant and runs his own nursing home business. Needless to say, he is an asset to Inner Joy Foundation for his accountancy skills. He also believes that once our own needs are met we should spend our resources to help humanity. His experience of running a nursing home has been extremely valuable for our projects for the elderly in India. In his spare time he enjoys walking, singing and educating himself spiritually. His passion for spiritual growth enhances his ability to serve Inner Joy Foundation well. 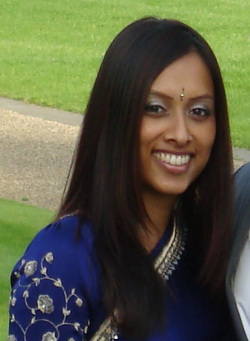 Kiran Kara Patel is a qualified Solicitor and is currently a Learning and Development Manager for Hydrogen PLC..
After her initial trip to India she became acutely aware of the problems that people face in India and felt that by being the trustee of IJF she would be able to serve humanity on a larger scale. Kiran has a young family which keeps her very busy but she offers valuable support whenever needed.